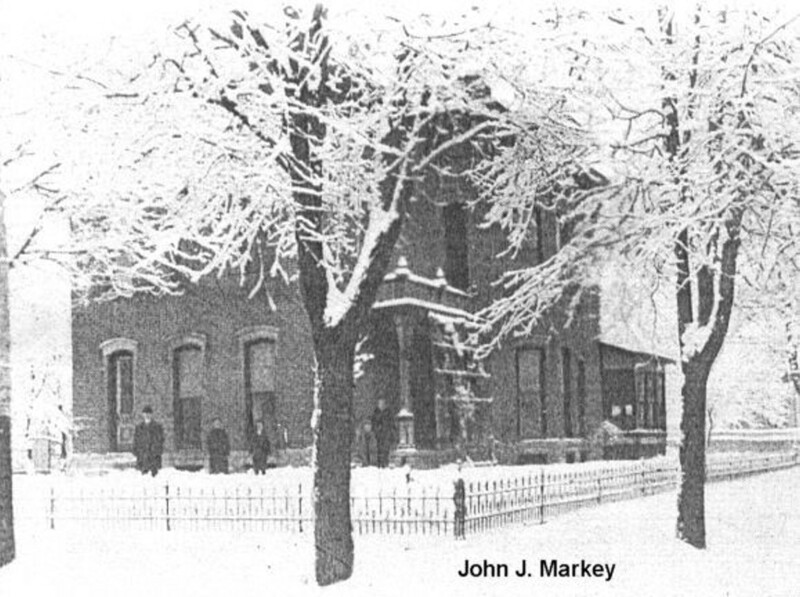 Historic pictures from 13th Street. 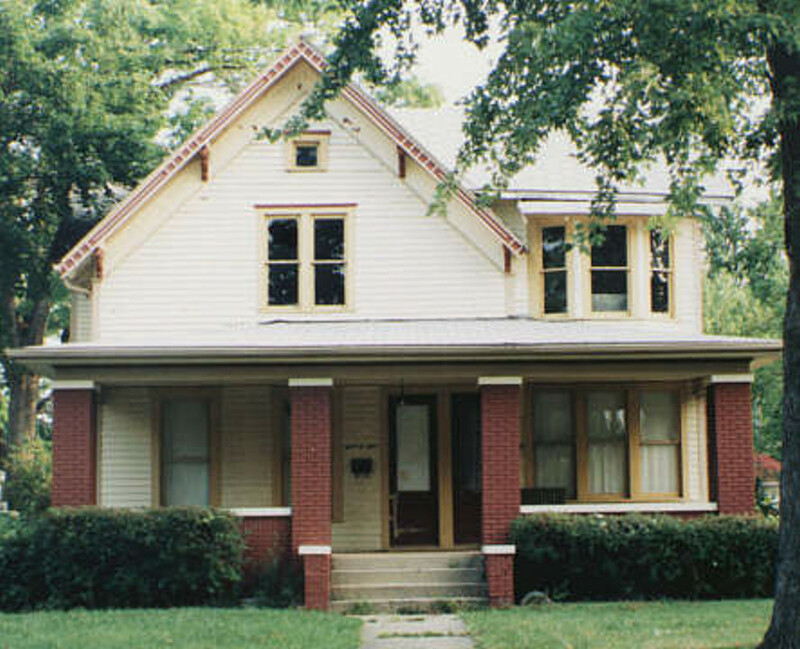 The properties in this area are located in the West Central Historic District. 144 West 13th Street in 1906 and 1991. 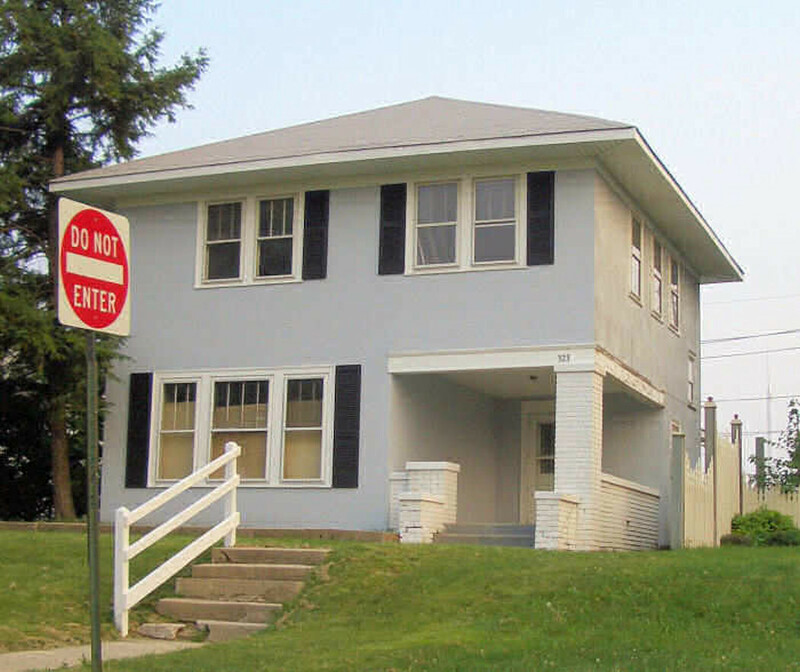 The original entrance to this property faced what is now Brown-Delaware Street. 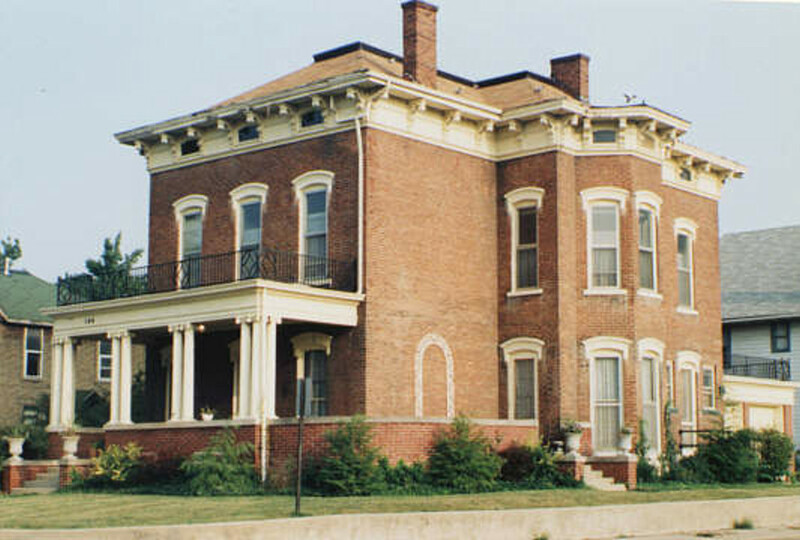 Other than the porch changes, the property is a great example of Italianate architecture. 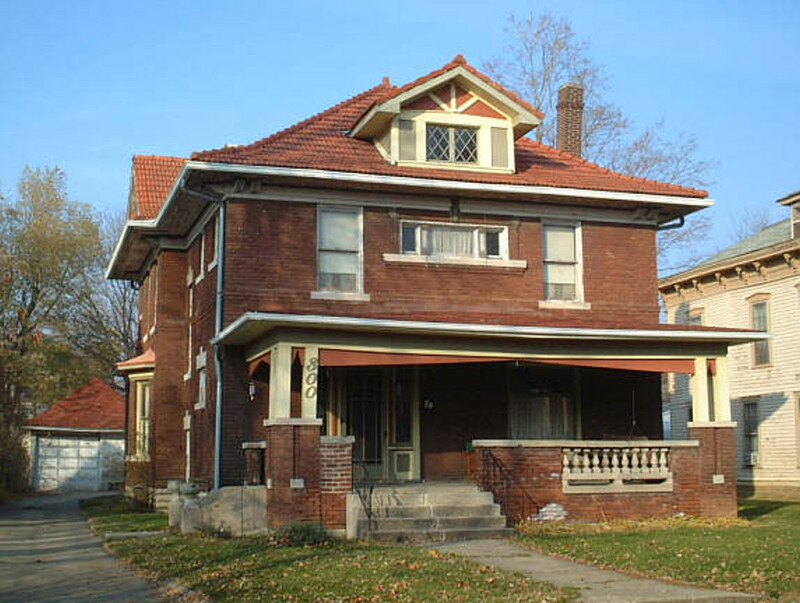 A property with great restoration potential. More Great News!!! 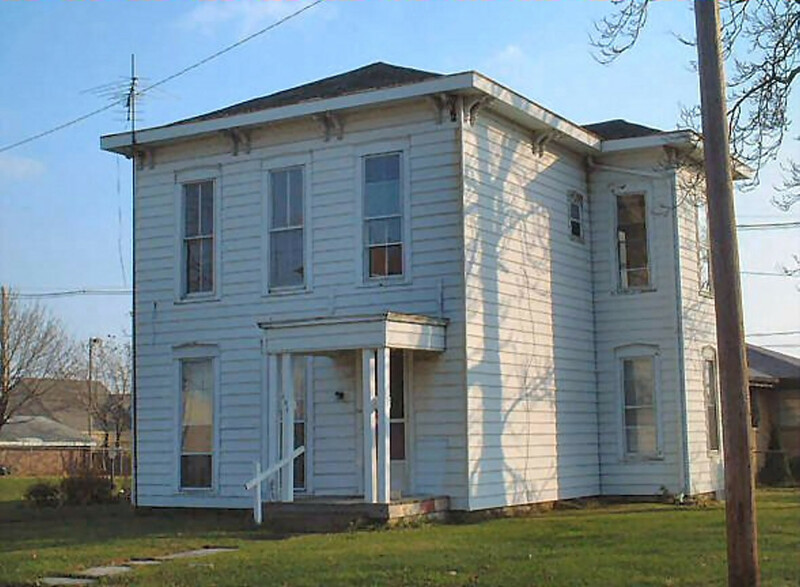 ADNA will be restoring the exterior of this property. 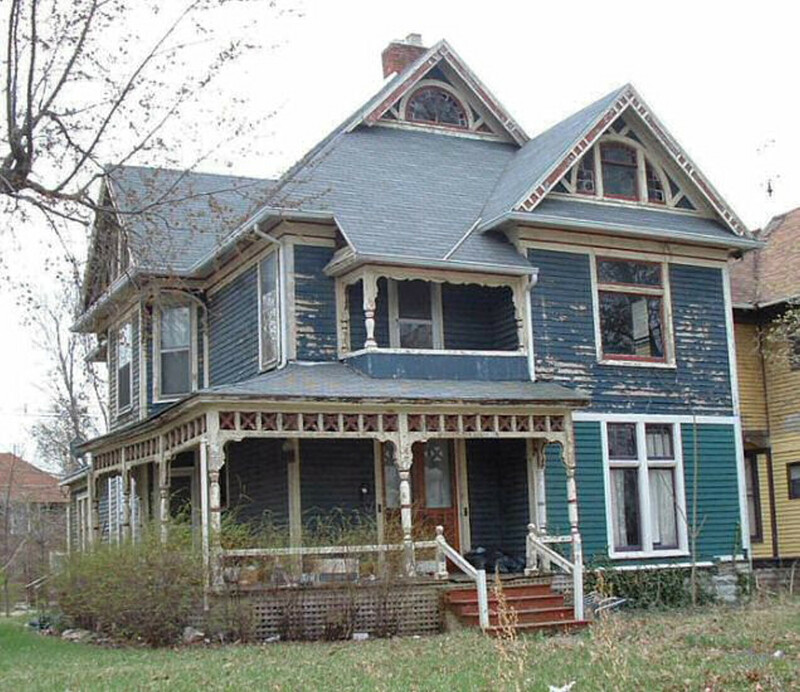 This home has sat empty for two years and was rapidly deteriorating. Great News!!! 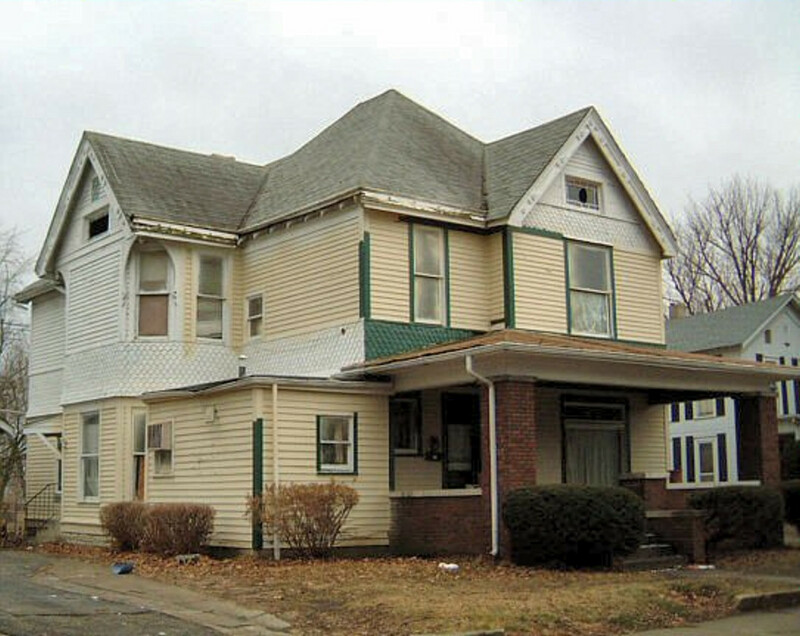 ADNA will be taking on the renovation of this property in tandem with the property owner! Stay tuned as more information and pictures will soon be posted. 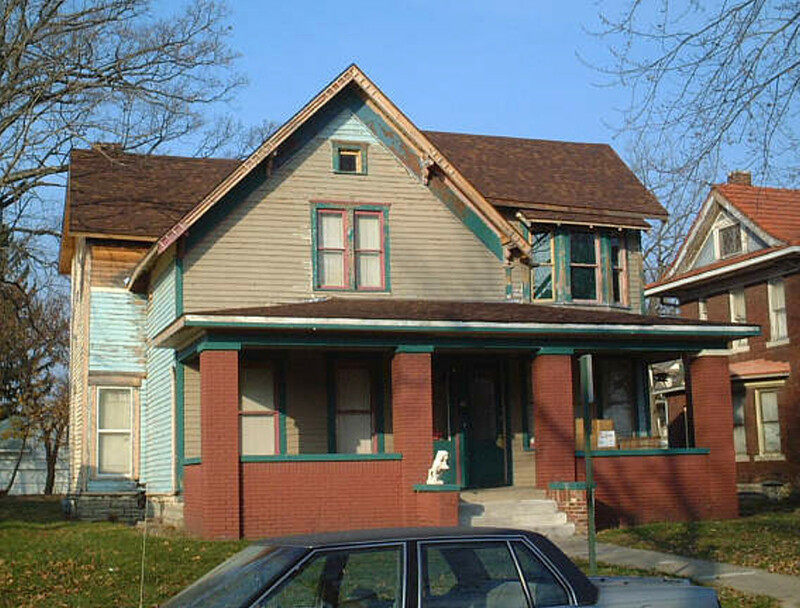 220 West 13th - craftsman style house with good restoration potential. 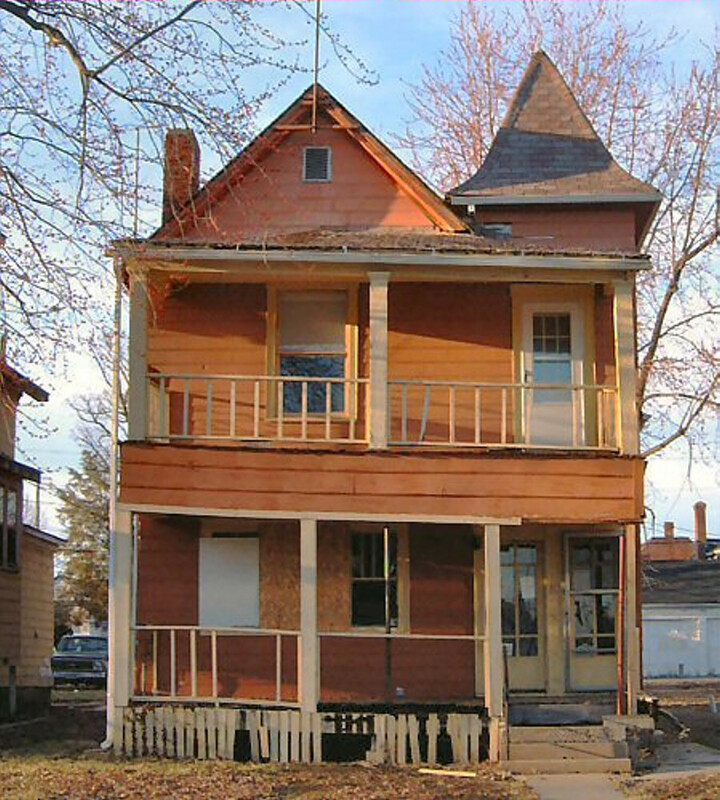 ADNA attempted to purchase this home in Feb. 2002. 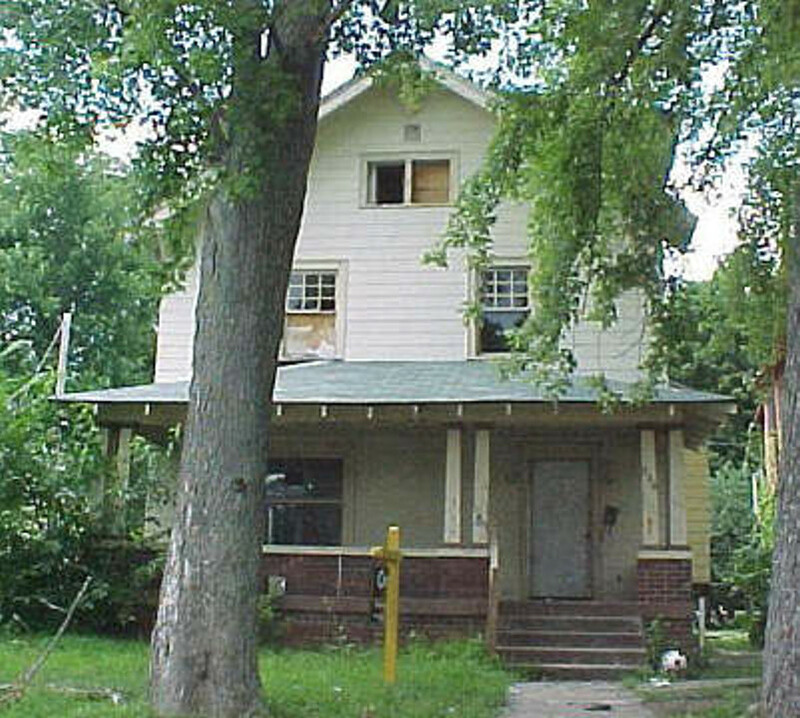 Another buyer got the property but we've yet to see any signs of activity. 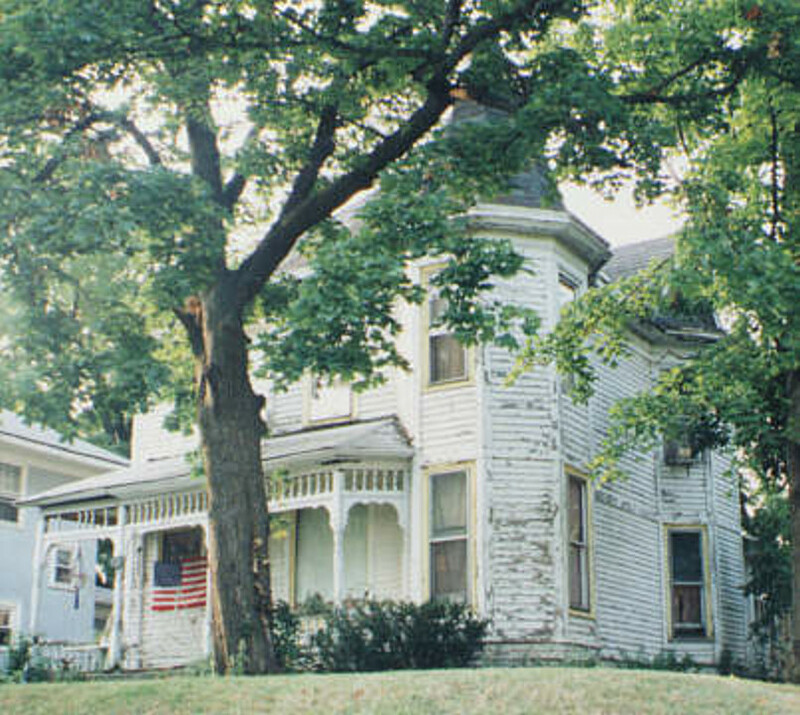 After many years of neglect, the current owners are making great headway on this property. One of our many "Notable" rated properties. The pictures speak for themselves. 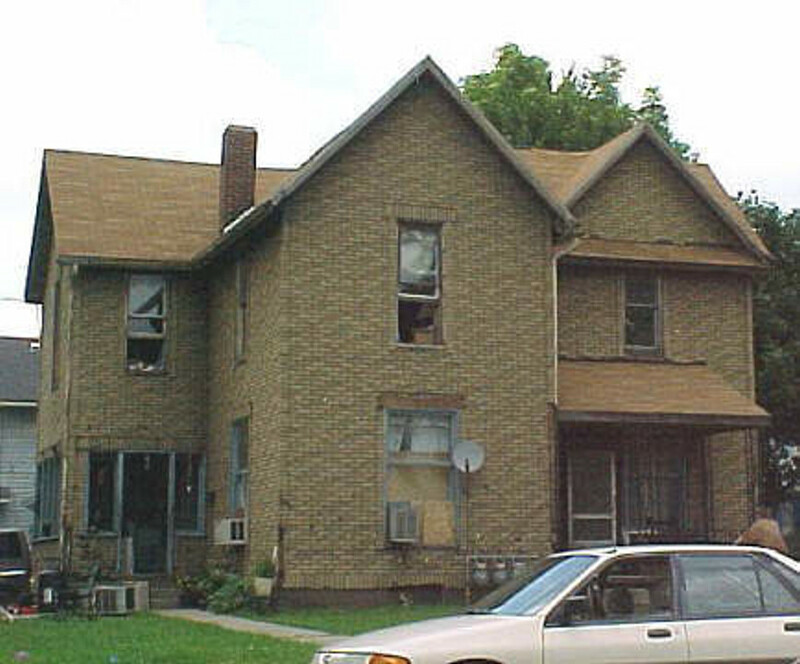 Another "save" - though not apparent in the 1991 view, this home suffered from lack of maintenance and unrepaired fire damage for many years. 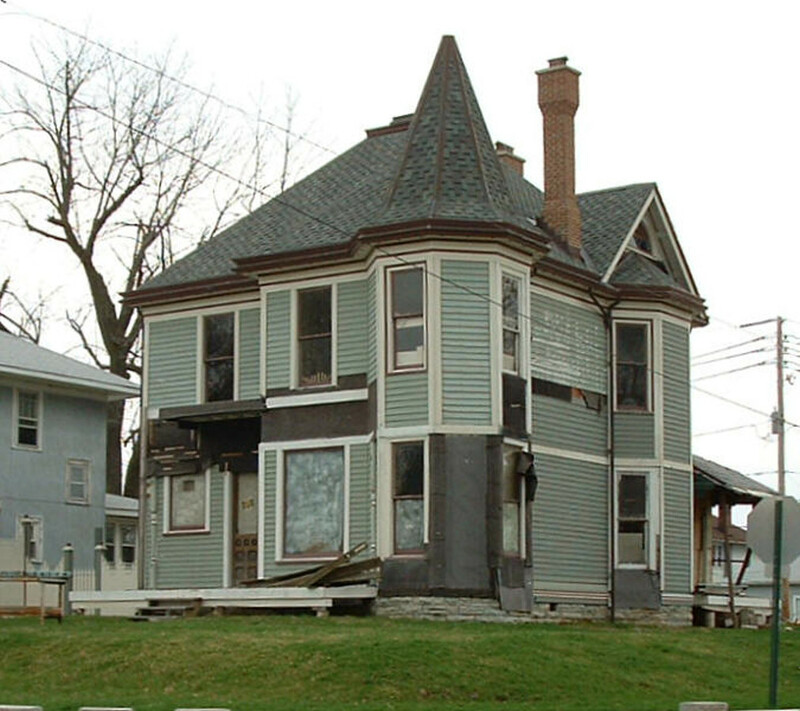 Update 2014: Sadly, this home was demolished several years ago and, in our opinion, without merit. 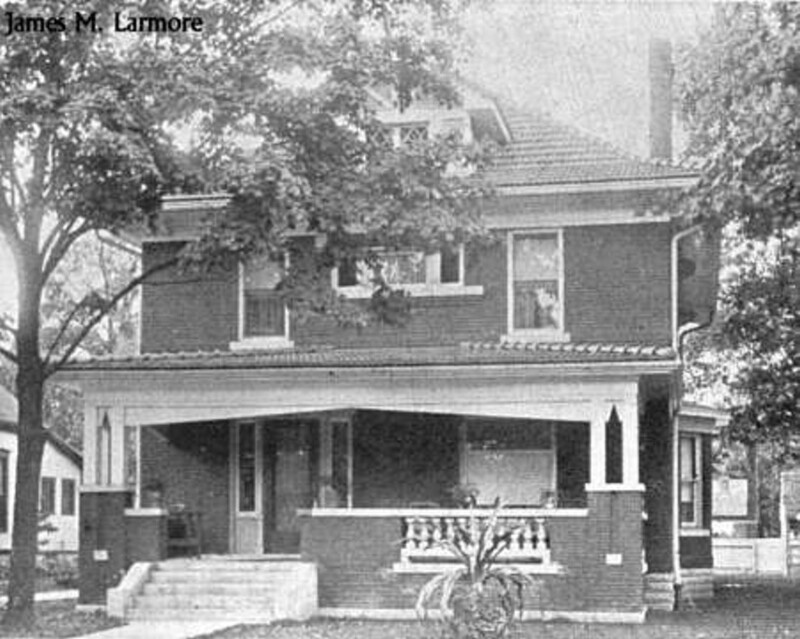 This property was built around 1920, possibly replacing an earlier home. Prairie influences are apparent. 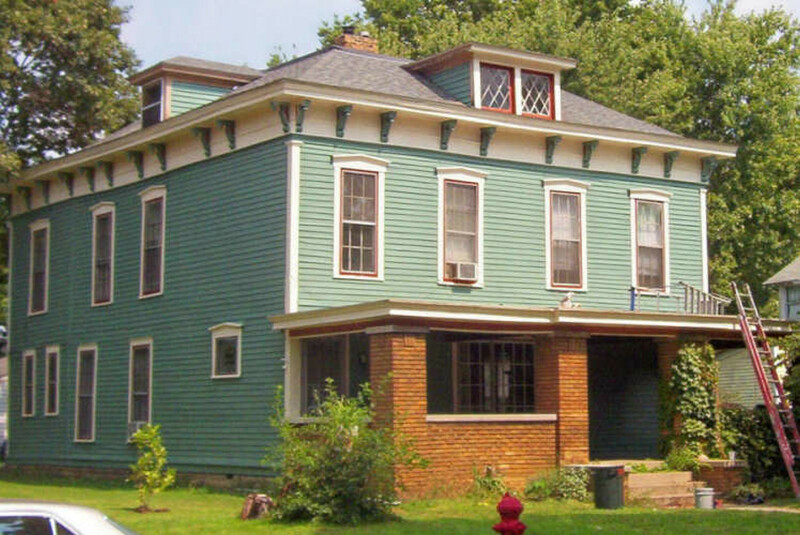 The current owners are completely restoring this property from the ground up. 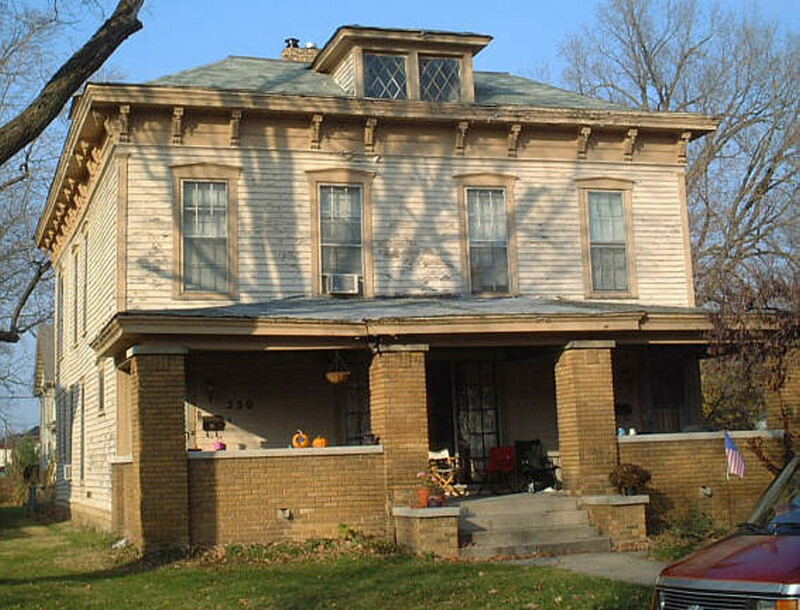 Note the roof and chimney details.